The following report and recommendation relate to Royal Princess Catering Services and catering and training business. The planned project is to be fully implemented with an investment of N825,110 with a fixed capital of N497,600 and a working capital of N327,510. The proposed project is to be located in Onitsha in Anambra State because of good market potential and strategic nature of the location. This project vision is to be a major competitor in catering industry in Anambra State, Nigeria. There is a ready market for the planned project. The level of demand for the product is quite high by virtue of the fact that Onitsha has a concentration of people owing to the fact that it is a commercial city. The financial position reveals a good liquidity and stability. The project turnover for Yr 1, Yr 2 and Yr 3 is N2,620,000; N3,144,000; and N3,772,800 respectively. Net profit for Yr 1 is N1,176,140; increasing to N1,610,640 in Yr 2 and N2,144,000 in Yr 3. 1.7 The funding requirement is N300, 000 to be borrowed from a government’s financial institution. 1.8 The project’s competitive edge are the EDC entrepreneurship training undergone and the experience of the entrepreneur in catering business, in addition to offering quality products and services and upholding customer care culture. From the point of analysis of our finding, the proposed project/business is found to be technically feasible, financially viable and economically desirable. We therefore recommend it for funding to enable its implementation. The planned business is as result of feasibility study carried out by Royal Princess Catering Services in Onitsha and its environ. As the population of the area is currently on the increase, the demand for quality fabrics is also on the increase. The registration of the planned business with Corporate Affairs Commission will be undertaken before the formal take off of the project. The promoter wishes to locate the business in Onitsha area of Anambra State because of existence of market, infrastructure, strategic nature of the place as well as the fact that Onitsha is commercial city. The emphasis today is on the way people look as well as the need to keep up with the trends in fashion. The need to acquire vocational skills and to celebrate one thing or another has created a large market for the catering business. The change in lifestyle in addition to change in social and corporate pressure have made catering business a good option for busy corporate executives and house wives who may not have the time to undertake the troubles involved in organising an occasion. So there exists a ready market for vocational training and catering services. Our target customers will include the youth, especially the unemployed, men and women who may require training in any of our services or rendering of our services for their various occasions. The catering business in Nigeria is a highly competitive one. In a locality, you can have an average of 4 to 5 catering service provider. The consumers desire quality products and services. To keep pace with the competition requires continuous innovation approach to product and service delivery. However, our catering services intend to deliver quality products and prompt services at competitive prices. 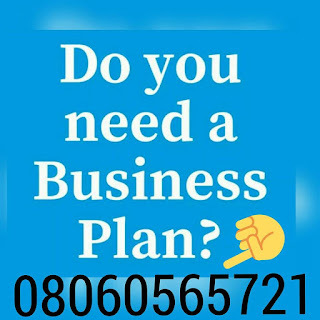 After payment text your name and e-mail address to 08060565721 and you’ll receive your CATERING BUSINESS PLAN / FEASIBILITY STUDY IN NIGERIA.